Can’t Make the Gym? 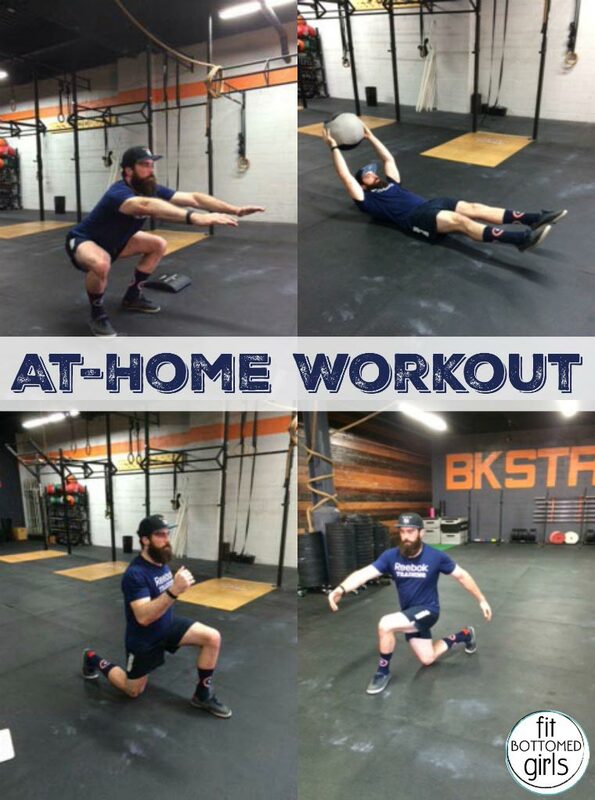 Do This At-Home Workout! I am always, always, always looking for a good at-home workout. I mean, I love going to the gym, but sometimes getting there just isn’t happening. Plus, when it’s this darn hot out, I have to admit that getting out for a run or even getting in the car to drive to the gym seems tiring. So, when Brooklyn-based CrossFit Outbreak was all like, hey, let us save your summer workout problems by creating this awesome at-home workout, we were all like, this in response. So whether or not you do CrossFit or bust out in a happy dance when you find the perfect at-home workout, bust out your fave workout shoes, put on some kickin’ tunes and get ready to MOVE with this workout that’s good for both beginners and more advanced exercisers! This workout can be done at home, with just a small mat or rolled-up towel for under your lower back, and a soft, light ball (the towel can be rolled up and used here as well)! Circuit A is performed for 5 minutes, followed by 2 minutes rest. Then circuit B is performed, again followed by 2 minutes rest. 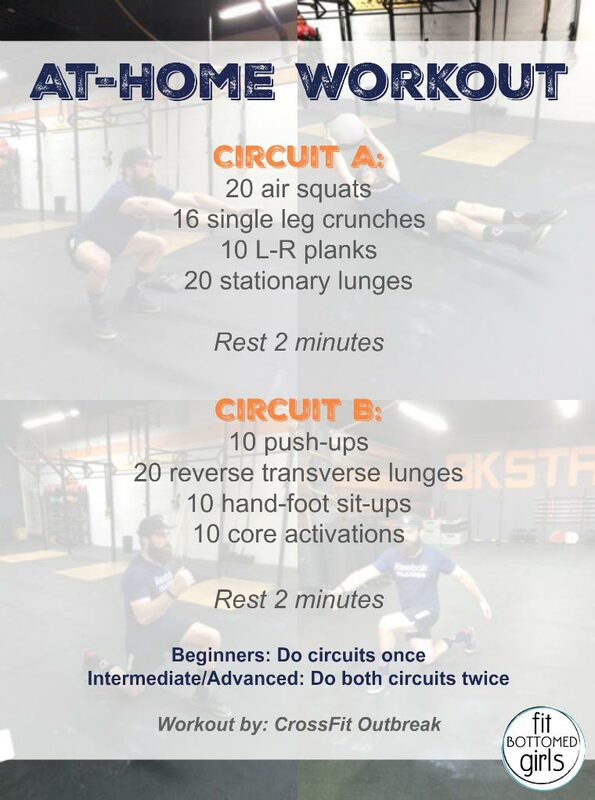 If possible, each circuit should be performed twice by intermediate athletes, but the circuit can be shortened for tight schedules, and scaled up for experienced athletes or down for beginners. 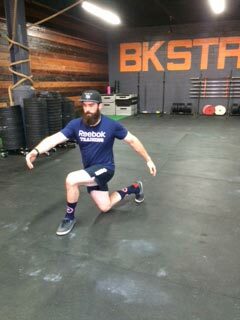 Air Squats: Squats begin at standing and end with the crease of the hip below the knee. Push the arms out front to create a counter-balance as you push your hips back, like you’re sitting in a chair. 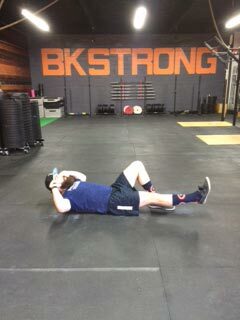 Single Leg Crunches: By using a leg to brace the movement and a pad or towel under the low back, we can greatly increase the effectiveness of the crunch. Breathe in before you begin and drive from your planted foot as you squeeze your belly button, bringing your knee up to meet you. 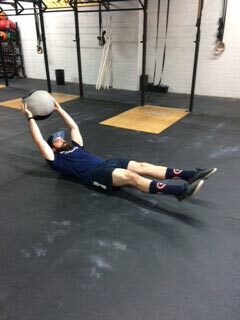 Squeeze for 1 to 2 seconds at the top of the rep and keep your heel and head off the ground to maximize effectiveness. 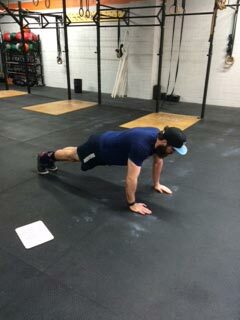 L-R planks: Maintain a tight core and rigid body as you shuffle left-to-right or right-to-left for ten reps at a time. The hips should remain slightly elevated, never being allowed to sag. 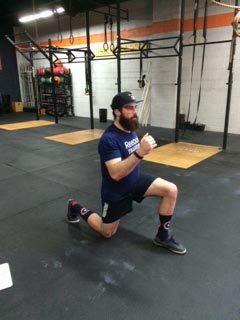 Stationary Lunges: Begin from standing. Step forward 2 to 3 feet (depending on height), landing heel-to-toe as you bring your leg into a 90-degree angle. Squeeze your belly button to stabilize and drive through the heel back to standing in one smooth motion. 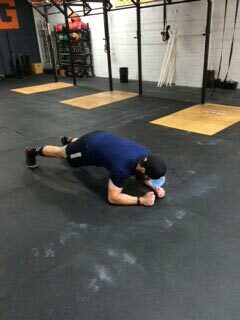 Push-ups: Begin in plank with core tight and arms extended. Keeping the elbows tight to the body, descend slowly until your chest touches the ground, then drive back up, maintaining a rigid torso. Exercise can also be done from knees. 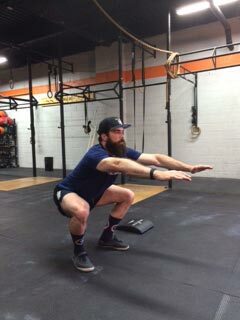 Reverse Transverse Lunges: Begin from standing, then carefully step backward and behind your planted foot while keeping your shoulders facing forward, then drive back up to standing. Hand-Foot Sit-Ups: Using a light, soft object like a yoga block, Swiss ball or light medicine ball, begin with head, shoulders and feet off the ground with ball in hands. 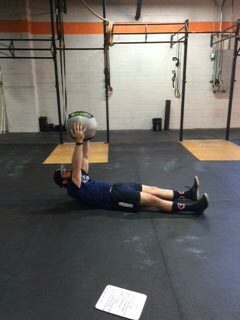 Crunch up toward your midsection and carefully pass the ball to your feet and slowly extend your body, still keeping your shoulders and feet elevated, then pass the ball back to your hands to finish the rep. Core Activations: Extend the soft object above you and simply squeeze your belly button to push your low back safely against the floor. Hold contraction for 2 seconds before slowly lowering to start position. Fantastic Post “Yes, definitely an awesome workout mentioning within this article.